A 2019 diary and planner designed with writers in mind. Stop procrastinating, start writing! Enough of letting our writing dreams slide because there are more 'important' things to do. Of reaching the end of each year frustrated because we're going nowhere. Of feeling like being a 'real' writer (whatever that means) is a million miles away and we should just give it up already. Even people who write full-time as a job find it hard sometimes to prioritise actually sitting down and writing. There are always things to be done that seem more urgent, less selfish, easier, quicker, less... difficult. It contains a simple system designed to support any writer: from first-time dabblers to award-winners, for fiction and non-fiction writers. It does that by focusing on YOU, on what you want to write and the routines that work best for you. *I don't have final samples yet, but these pictures will show you what's inside and I'll update them when I can. You'll start by looking back over 2018 and reviewing your writing year, celebrating what you've achieved and identifying areas of frustration. Then you'll get clear on what you really want by exploring your writing dreams, and turn them into clear goals that really inspire you. It's very easy to make plans, but it's how you act on a day-to-day level that affects whether or not you get there. 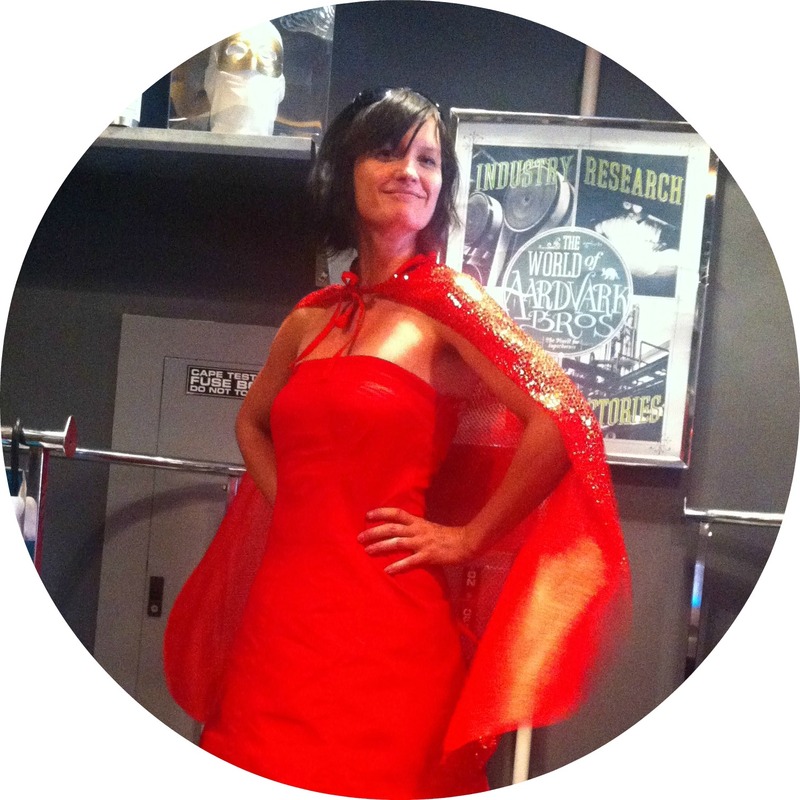 My favourite sneaky superpower section helps you to look at what you need to do, think or change (or stop doing) in order to reach those dreams. 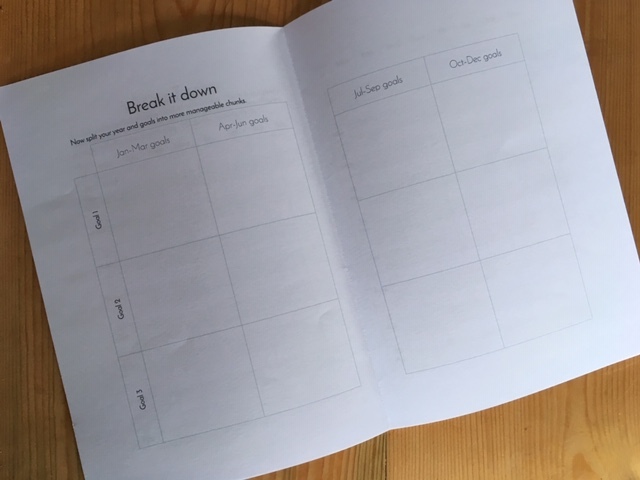 Once you've got your goals, the planner helps you to break them down into manageable, realistic chunks that stop those big goals feeling overwhelming. You'll revisit these as the year progresses to make sure they're working for you, not stressing you out. 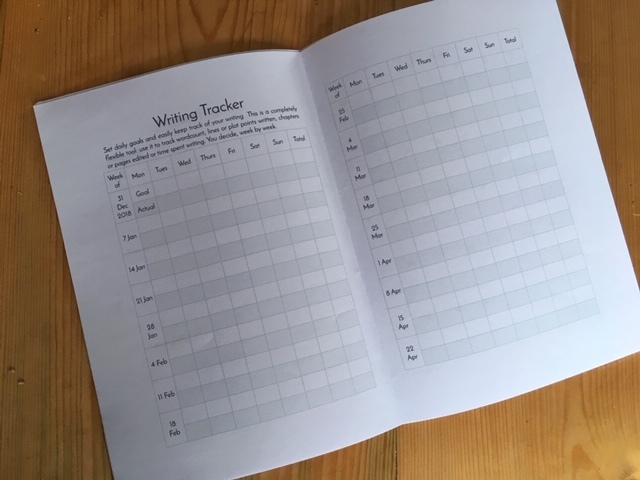 The writing tracker is entirely flexible. You count using whatever metric works for you, whether that's word count, lines written, pages edited, plot points mapped or even chapters read. The best thing is you can change at any time - just mark each week as you go with any writing-related activity. You get the satisfaction of seeing your progress across the year, which helps you to feel more productive and creative and want to do more. Every week there's a quick, super-simple intention-setting exercise so your writing goals are always in front of you, and you're clear on the next small steps to take. I asked 100 writers what style of diary was best, and you overwhelmingly voted for a week-to-view layout, with a few requests for maximum writing space. So that's what we've got. 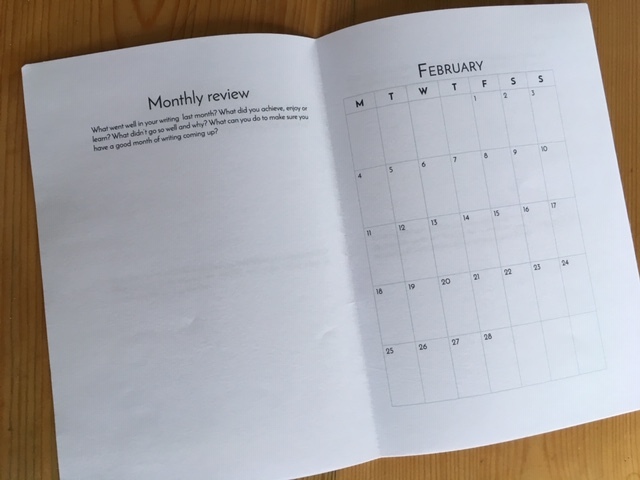 Every month you'll take a few minutes to review your writing life, celebrating the successes, making tweaks to your routine and checking in with your goals. Feeling on top of things makes you feel great, so regular reviews give you the chance to both appreciate your progress and make sure your goals are working for you. 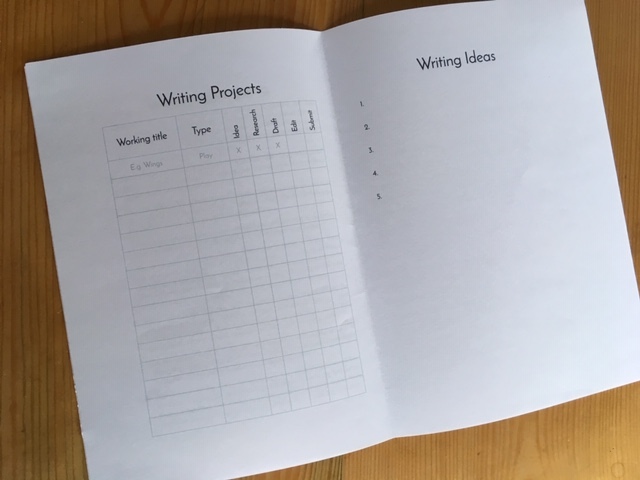 There are charts to help you keep track of writing projects, a home for new ideas so you don't forget them and some ideas to help you get started with writing. 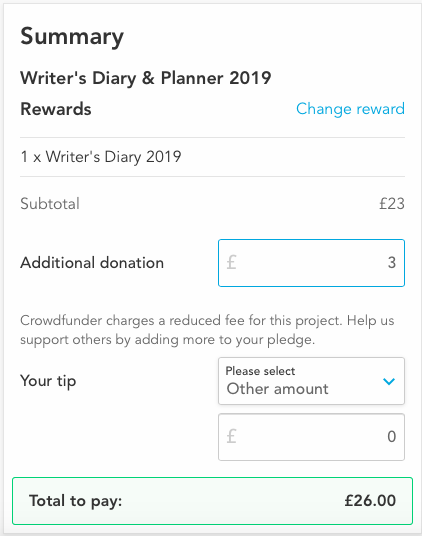 Because the diary is designed for all types of writer the focus is on tools that everyone will be able to use, but you'll also be able to download and print free extras like a NaNoWriMo tracker, a books lent/borrowed page and a submissions tracker. One thing that writers asked me for was plenty of space for notes and ideas. There are extra notes pages every month and plenty at the back in a combination of dots, lines and blank pages.  The tools are all designed to be adaptable for any kind of writer. This looks like a plain black hardback book or diary. Its superpowers are hidden so that you never have the embarassement of getting your diary out in front of the boss who doesn't know you're writing secretly at work, or confessing your erotica writing sideline to great-aunt Hilda. The planner looks like a plain black hardback book or diary, because library chic is cool. It's A5 (by far the most popular choice in our survey) with a soft-touch matt black cover, 80gsm white paper and a ribbon to mark the current page. 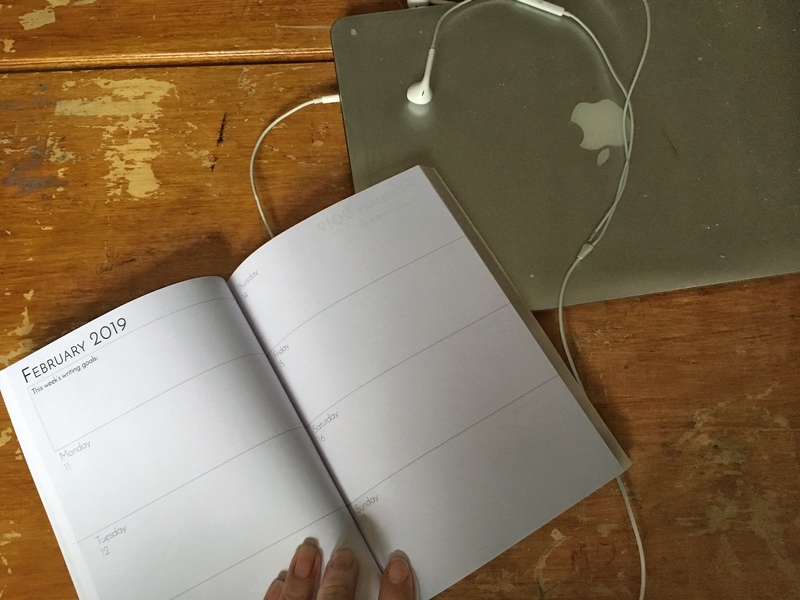 There are year-to-view calendars for 2019 and 2020 to help you plan, and a monthly calendar sits at the front of each month, where it's most useful. As well as being able to download and print free extras like pretty quote inserts, a NaNoWriMo tracker, a books lent/borrowed page and a submissions tracker, everyone who orders a planner will receive a bookmark, with a quote that's dear to my writerly heart. I'll also be running a free video workshop to go through the planning process with you. Hey, I'm Charlie. I set up Urban Writers' Retreat in 2008 to help writers to sit down and, well, actually write, through writing retreats that give you time and space to focus, online courses and other tools. It's easy to feel adrift, like you're never getting anywhere, and every year that passes feeling this way is another year wasted. This diary is an extension of an annual planner for writers that I've been making for the last few years, and which writers tell me they love. 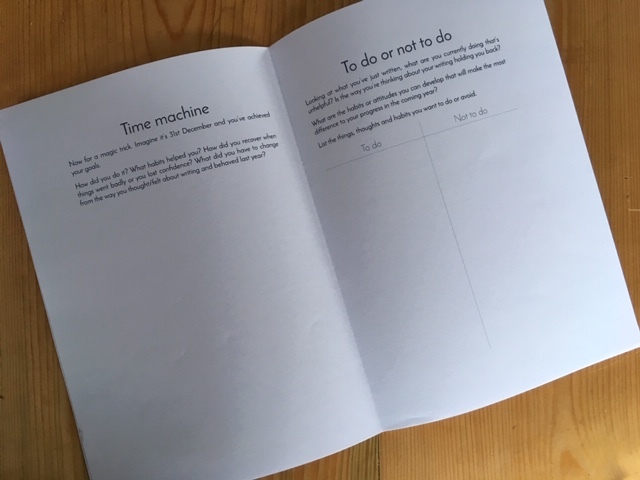 I wanted to supercharge that process into a diary that will help me - and you -finally stop putting it off, make writing a priority and keep motivated year-round. What if the project doesn't get fully funded? Don't worry! The diaries are definitely going ahead, so even if we don't make the funding target you will receive your diary. It's a plain black hardback A5 book, with only the date on the soft-touch matt cover. 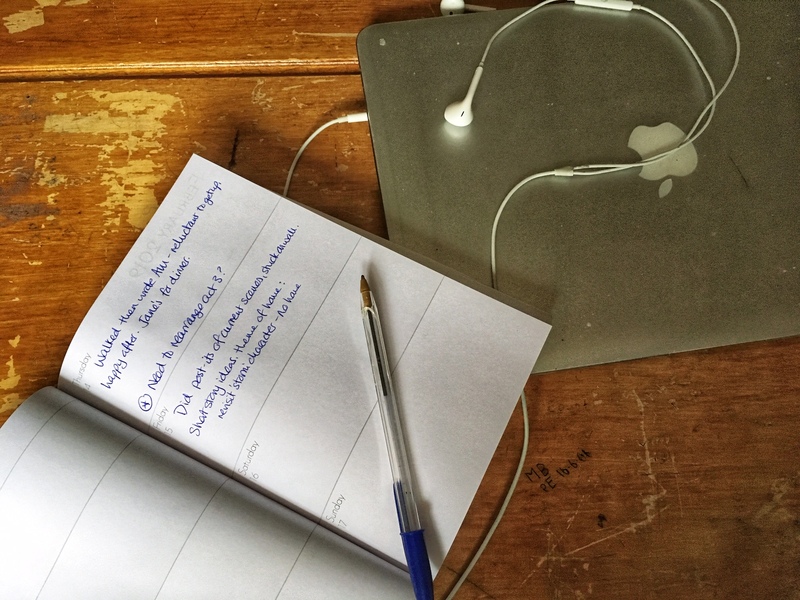 It's for any writer, or anyone who wants to make writing a higher priority in their life. The tools are adaptable, and there's plenty of space to make your own at the back. I'm aiming for UK delivery pre-Christmas for anyone who orders from the first batch of 200 diaries before 13th December. I'll get any additional diaries out as quickly as possible, but they may sell out. PDF-only customers will receive theirs by 22nd December. International deliveries will take longer, but I'll do my best to get them to you before the New Year. What details do I need to give for delivery? Please make sure that you enter the correct email address and delivery address! If you think they may be wrong, email hello@urbanwritersretreat.co.uk with your donation details and we'll sort it out. How will the diaries be sent? By first-class Royal Mail post. 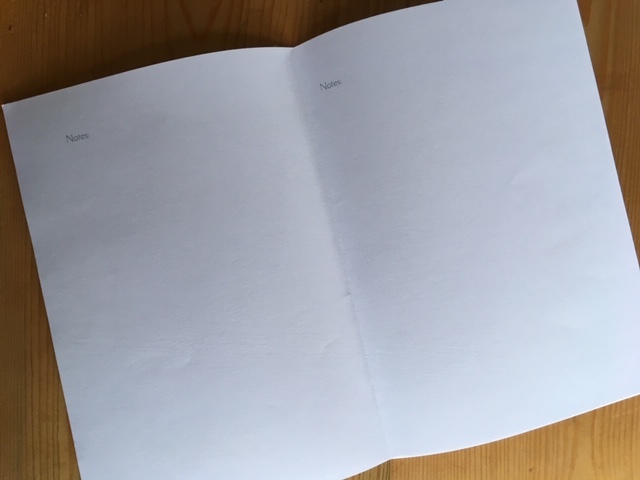 I have no control over Royal Mail's reliability, but if you have problems receiving your diary please contact hello@urbanwritersretreat.co.uk and we'll help you as much as we can. Diaries ordered by 13th December will be posted by the last first-class post date. Beyond this, I will do my best but can't promise, as it may not be possible to get them printed in time. Sure! Email me on hello@urbanwritersretreat with details of where you'd like it sent. Please do this ASAP - once the diaries arrive I'll be getting them out as quickly as possible, and if I don't hear anything beforehand then it'll go out to the address on the payment details. What about postage costs and international delivery? Delivery is included within the UK. If you're ordering internationally, delivery is £3 extra, which you can add as an 'additional donation' right underneath the subtotal on the next page. If you forget though, no worries, we can send you a PayPal request for the extra. What's with the tip thing on the payment page? Yeah... I chose the best UK-based crowdfunding platform for our needs, but they suggest supporters also give them a tip that allows them to let good causes crowdfund without fees (as a commercial enterprise, I pay fees that also supports this). This is NOT obligatory, despite looking like it is - you'll see that I've selected 'other amount' and set it to zero in this example. If you don't wish to pay this additional fee, you don't have to. The 'additional donation' box just above it is where you'd add international shipping fees. The .pdf version of the planner (or perhaps a shortened version) will be freely available once 2019 starts. 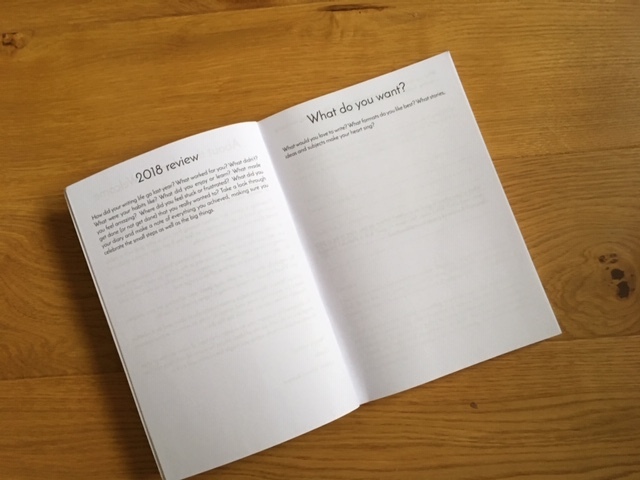 Of course, I'd love your support with a small donation, but if you're strapped for cash but still want the full version now, share the crowdfunder on social media, save a screenshot and send it to us on hello@urbanwritersretreat.co.uk and we'll hook you up with the .pdf file. Support the project with a small donation and you'll get my eternal thanks, plus a full .pdf of the planner for you to print and use (personal use only). The first 5 people to buy the 2019 Writer's Planner will get it for half the final price! If you need international postage, please add £3 in the 'additional donation' box. The first ten people to buy the planner will receive it for just £15, including UK postage. If you need international postage, please add £3 in the 'additional donation' box. 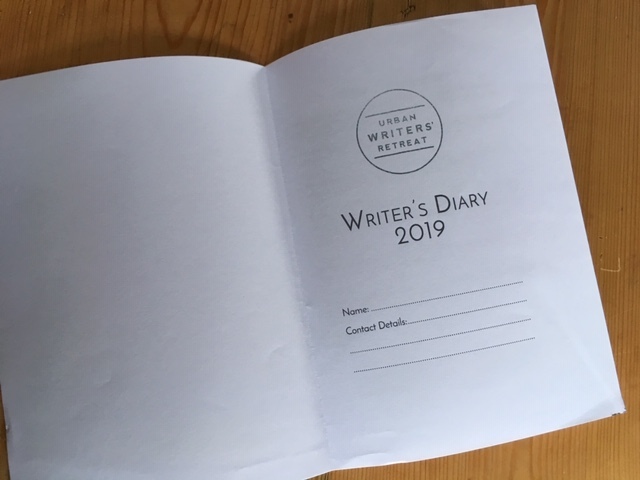 In return for jumping in early and supporting the project, I'll pay for the postage on your Writer's Diary 2019. Thanks! If you need international postage, please add £3 in the 'additional donation' box. For the price of a takeaway, get your writer's diary and planner and use it to make 2019 your best year of writing yet. For international delivery, please add £3 in the 'additional donation' box. Once the initial run of 200 diaries has been sold, I'll do my best to get more out as quickly as possible. For international delivery, please add £3 in the 'additional donation' box. One for you and one for a friend. This includes UK delivery to one address. For international delivery, please add £3 in the 'additional donation' box. Get a writer's diary and a place on a one-day retreat in Newcastle - choose from Sunday 27th January, Sunday 24th February and Sunday 24th March 2019. Your diary will be delivered before Christmas if ordered before 13th December. Can be ordered as a gift - just check the FAQ below and send us the recipient's details. Get a writer's diary and a place on a one-day retreat in London from January to March (dates TBC). Your diary will be delivered before Christmas if ordered before 13th December. Can be ordered as a gift - just check the FAQ below and send us the recipient's details. Buy multiple copies for your writing group at the Earlybird price. This includes UK delivery to one address. For international delivery, please add £3 in the 'additional donation' box. If you want a different amount (3? 7? ), no worries! Just use the 'additional donation' box to make your donation amount to £20 per copy, and email me on hello@urbanwritersretreat.co.uk to confirm.